Here's a copy of a nice overview article on aeolian harps witten by Tissandier. This is the original type of aeolian harp on the old castle of Baden-Baden/ Germany. The measure is in meters. 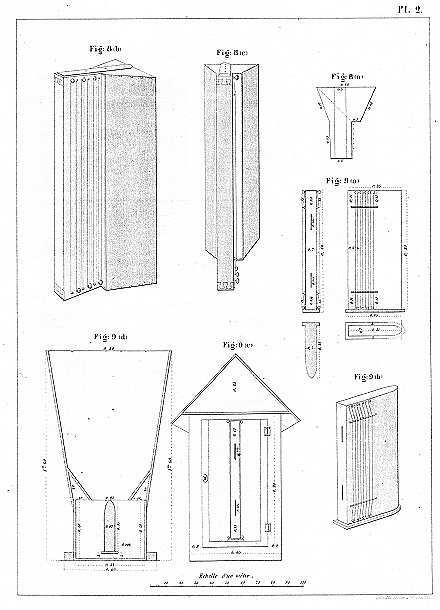 In 1853, Kastner reported 4 of these windharps being installed on the castle. ...want to know more on wind-instruments?